I believe the way to generate a wealth of health in our children is to give them the inspiration and knowledge to enable them to make informed nutritious food choices. We have good quality produce in Australia lets promote it and show how good it is. 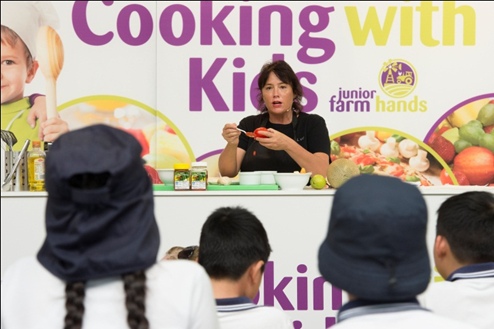 To enable children to move away from packaged convenience they need to learn to cook! I love entertaining a young audience, hearing the chuckles and squeals of delight as they learn and experiment, makes my heart sing.